Subscribe to get deals from hundreds of merchants including the best of Bounce Singapore! Valid till 30 June 2019.. Applicable for walk-in purchases only.. Only one offer to be utilized per purchase; no combination of promotions allowed.. Offer is not valid in conjunction with other promotions, discounts and special offers. Please always check with the merchant on the validity of the promotion before purchase. Applicable for walk-in purchases only. Only one offer to be utilized per purchase; no combination of promotions allowed. Promotion valid from 01-OCT-2017 to 30-SEP-2019. Payment must be made with a valid DBS / POSB card.. Valid for walk-in booking only.. Subject to venue capacity availability.. Not valid in conjunction with other vouchers, promotions, discounts and special offers.. 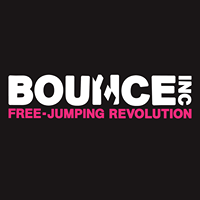 BOUNCE Singapore reserves the right to amend its terms and conditions without prior notice.. BOUNCE Singapore’s terms and conditions apply.. Please always check with the merchant on the validity of the promotion before purchase. Payment must be made with a valid DBS / POSB card. Valid for walk-in booking only. Subject to venue capacity availability. Not valid in conjunction with other vouchers, promotions, discounts and special offers. BOUNCE Singapore reserves the right to amend its terms and conditions without prior notice. BOUNCE Singapore’s terms and conditions apply. Offer is valid till 30 June 2017.. Payment must be made with an OCBC Credit or Debit Card.. Two free Junior Jumpers admission tickets for Plus! cardmembers are only valid during Junior Jumper hours.. Not valid in conjunction with other discounts, membership privileges, promotions or vouchers.. Merchant's terms and conditions apply. Please contact the merchant directly for full details.. OCBC shall not be responsible for the quality, merchantability or fitness for any purpose or any other aspect of any product/service. Notwithstanding anything herein, OCBC shall not at any time be responsible or held liable for any defect or malfunction in any product or the deficiency in any service provided, and/or any loss, injury, damage or harm suffered or incurred by or in connection with the use of any product/service by any person.. OCBC's decision on all matters relating to privileges or terms and conditions will be final and binding on all participants.. Please always check with the merchant on the validity of the promotion before purchase.